If you're the type to travel for golf (or just golf while you travel), check out our top ten list of the best golf resorts around the world. Get ready to tee off in some seriously amazing destinations. It's the stuff of legends. Home to the PGA Tour's Honda Classic, the PGA National Resort and Spa is steeped in golf history. Boasting signature courses like "The Palmer" and "The Squire" (designed and named after Arnold Palmer and Gene Sarazen, respectively), an on-site Golf Academy offering lessons from certified PGA pros, and a newly renovated golf complex, it's easy to see why this resort is a favorite among golf buffs. Treat dad to the Gold Golf Package, which includes resort accommodation, daily breakfast at the Palm Terrace restaurant, one round of golf daily on selected courses, and unlimited balls and bag storage. 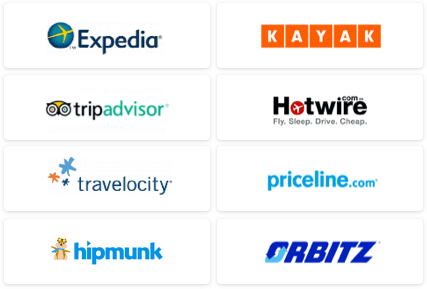 Room rates start from $129 per room per night. Currently ranked as the largest golf resort in America, this eight course southern beauty is a favorite among golf enthusiasts. You don't have to be an avid golfer to appreciate the picturesque scenery that Pinehurst Resort has to offer, but you might as well take advantage of the Father's Day Golf Package available from June 14–17. 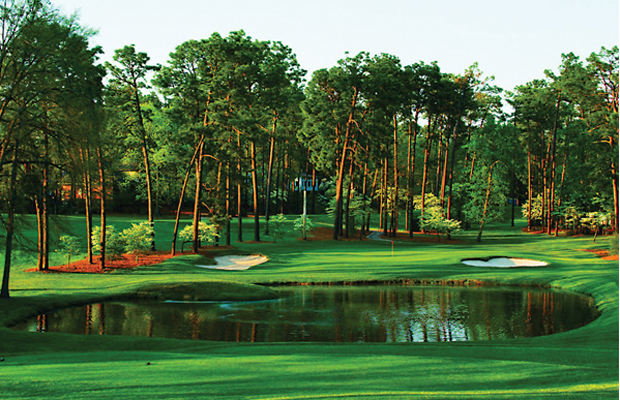 For $875 per person, you and dad can enjoy three nights of accommodation, breakfast, one round of golf on Pinehurst No. 4, and one round on Pinehurst No. 2 with a caddie. The package also includes, breakfast, dinner, and receptions during your stay. If you're not a golfer but still want to treat dad, a $495 non-golfer package is available. A golfer's paradise, the Four Seasons Maui at Wailea features three premier golf courses set against the natural beauty of Hawaii's landscape. 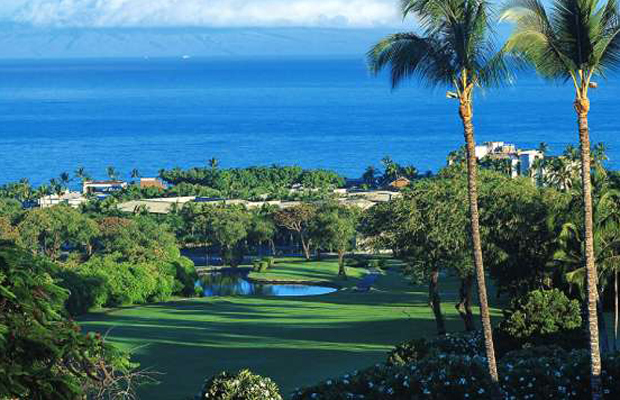 The Wailea Blue, Gold, and Emerald courses each cater to different abilities and skill level. For those who are looking for a challenge, try your hand at the Gold course. 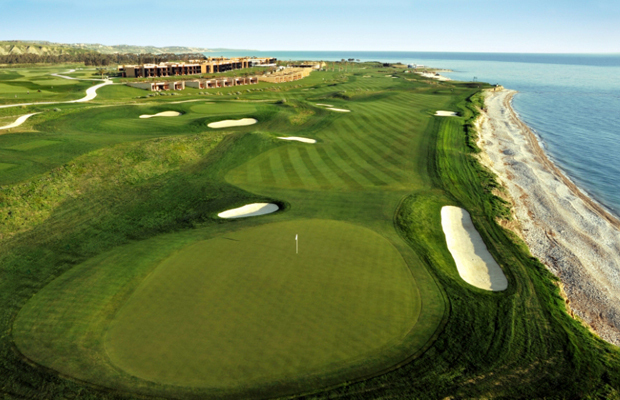 The Blue is straight up, classic golf, while the Emerald course is suited for those who prefer a more leisurely game. Each course offers golf instruction and Yoga for Golfers to ease the mind and relax before or after a round. Reservation and tee time is required to play. The sport of golf has been rooted in Scottish history for the past 600 years, specifically at the Old Course known as St. Andrew's Links. Today, St. Andrew's plays host to the British Open. Surprise dad by playing on a piece of history at the largest public golf complex in Europe. The estate itself is surrounded by emerald green rolling hills, so you can gain a perspective of the enormity of the grounds, which includes seven courses, a golf academy and three clubhouses. For £3.00 per person, you can tour the Old Course on a guided 50-minute walk. 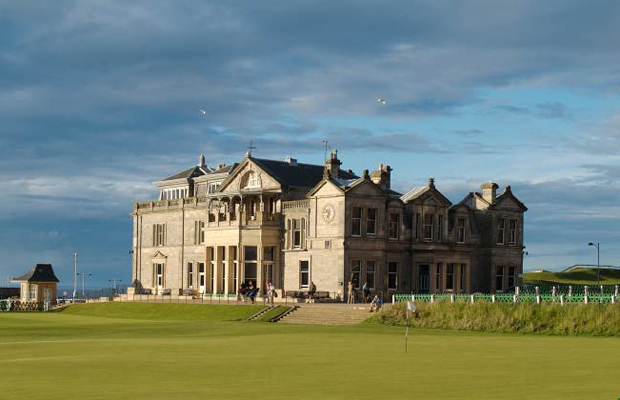 Tours take place at 11am and 2pm starting at the St Andrews Links Golf Shop. Check notice boards for the next available tour. Find out how to book your tee time and learn which course is the best for you. Although the club is private and not suitable for beginners, visitors from recognized overseas clubs are allowed to play at The Royal Melbourne Golf Club. The green fee for a round of 18 holes for overseas visitors is $350. The club features two courses, the East Course and the West Course, the latter is ranked number one throughout all of Australia. Large fairways and a lack of any water holes makes Melbourne a challenging course, even for the most adept golfer. 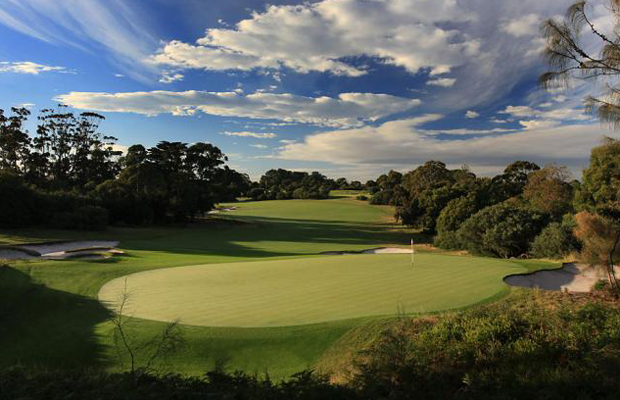 The Royal Melbourne Club was also recently chosen to host the World Cup of Golf in November 2013. 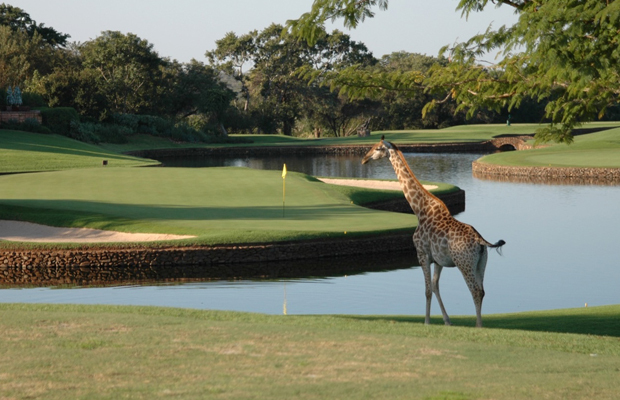 If you're looking for a unique golfing experience, look no further than Leopard Creek Country Club. Located on the southern border of the Kruger National Park, this 18-hole golf course is an African retreat. Be careful where you retrieve your ball, though. The club is home to hippos, antelopes, buffalo, and wild boars, as most of the water holes (such as Crocodile River) double as habitats. While Leopard Creek is reserved for members and guests, limited booking is allowed for visitors during the week. For more information, visit the lodging page for times and fees. Feeding and engaging in any activity with the animals is prohibited, as it can be dangerous to their habitat and health. Mission Hills holds the title of China's highest rated leisure resort, and according to the Guinness World Records, is also the world's largest golf club. Comprised of twelve 18-hole courses, three clubhouses and a golf academy, Mission Hills is hard to beat. Even when you're not on the green, each room at the resort has a private balcony, offering unobstructed views of golf course. Consider the Mission Hills Haikou Holiday Package, which includes a two night stay in a deluxe room with breakfast, three rounds of 18-hole golfing, which covers course insurance, a cart, a caddie, and green and locker fees. The promotional package also includes a spa experience at the Volcanic Mineral Springs, and access to Lava Lagoon for a refreshing swim. Round-trip transportation service between Haikou Meilan International Airport and the Resort is also available. 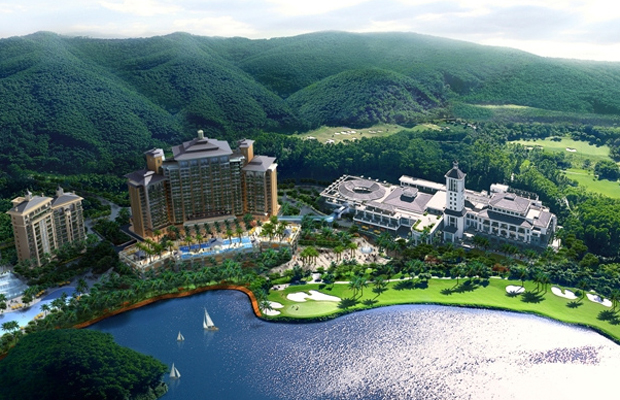 Guests are also offered the option to stay and play at Mission Hills Shenzhen and Dongguan. Surprise dad with the Mission Hills Shenzhen Golf Package, which includes nightly resort accommodations, pre-booked tee times, a caddy and golf daily, as well as a gourmet breakfast for the duration of your stay. High atop a mountain plateau with a view of the Alps sits Crans-Montana, a Swiss resort and golf club with one of the most scenic backgrounds in all of Europe. 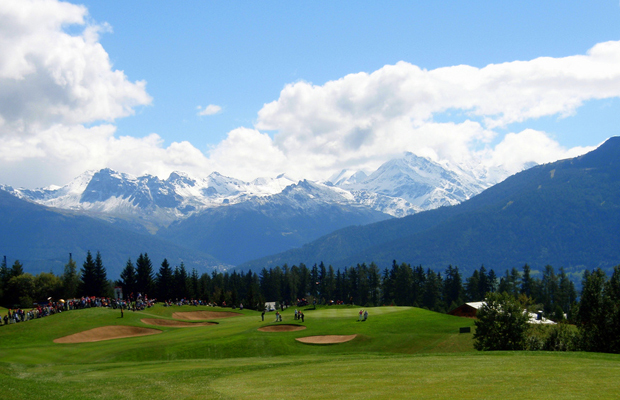 The golf club Crans-sur-Sierre is closed for half the year due to snowy conditions and reopens from May–October. Summertime is opportune for playing, though. High altitude allows the golfer to drive the ball further than on a regular golf course, and the alpine air is fresh and soothing. Don't forget to bring your camera to snap a shot of those periwinkle Alps. Visit the website for more information on fees, as prices for 9-hole and 18-hole vary from season to season. Located near the seaside town of Sciacca along the southern coast of Sicily, the Verdura Golf and Spa resort is a Mediterranean gem. Each room at the resort overlooks the Mediterranean Sea and has been decorated to reflect luxurious elegance. There are two championship golf courses on site, The East and The West, and both charge different fees for residents and non-residents, depending on the course and the season. The resort's new Endless Privileges program for guests is designed to enhance the golfing experience. Complete with daily green fees, benefits include three meals, a complimentary shoe and club cleaning, and a bag of goodies containing a golf cap, engraved Verdura bag tag, and golf book and tee pack. Dad can even play among the pros on the 2012 Sicilian Open Championship Course. In order to qualify for the program, a minimum stay of three nights at the resort is required. 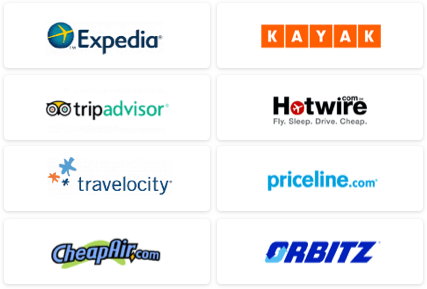 Package prices vary based on room accommodations and are not available during peak season. 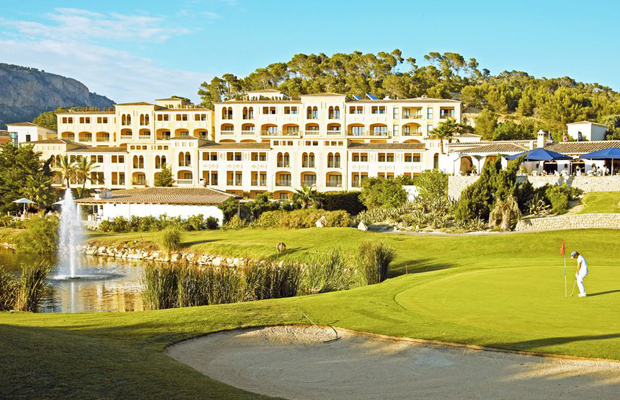 Luxury and relaxation awaits at this five star hotel on the island of Mallorca. Choose a room overlooking the pool, golf course, terrace, or sea, and then head down to the restaurant for the finest in authentic Spanish cuisine. If you're here to golf, the resort offers a variety of packages and deals like Sleep and Play, Golf Drives Me Crazy, Short and Sweet! Every Sunday, and several others, which provide guests the opportunity to make the most of their time on the course, and at the resort. Let dad enjoy a well-deserved massage or spa treatment after a taxing day of golf. Each of the twelve courses offer different challenges and skill levels. Some even wind through olive groves, pine trees, and other forms of Mediterranean vegetation. For tee times and fees, call the Golf Service Center at +34 971-628-135. Where are some of your favorite golf resorts? Tell us!